It looks like a prop from the unmade Alien Christmas special. The one where Alien Santa comes down from space with some rather scary black reindeer and drops egg pods at the foot of children’s beds. What I find disturbing is the very obvious influence of Joseph Beuys (whose undying fan I am as all readers of this blog should be aware). But it seems very literal and half digested here. Beuys was a genuine sociopath and his psychic bond with the strange materials he used was instinctive, charismatically shamanistic. Felt, tallow, brown floor paint etc – these were fetishes in a shamanistic sense of having a devotional quality that connected the artist with the wider reality. 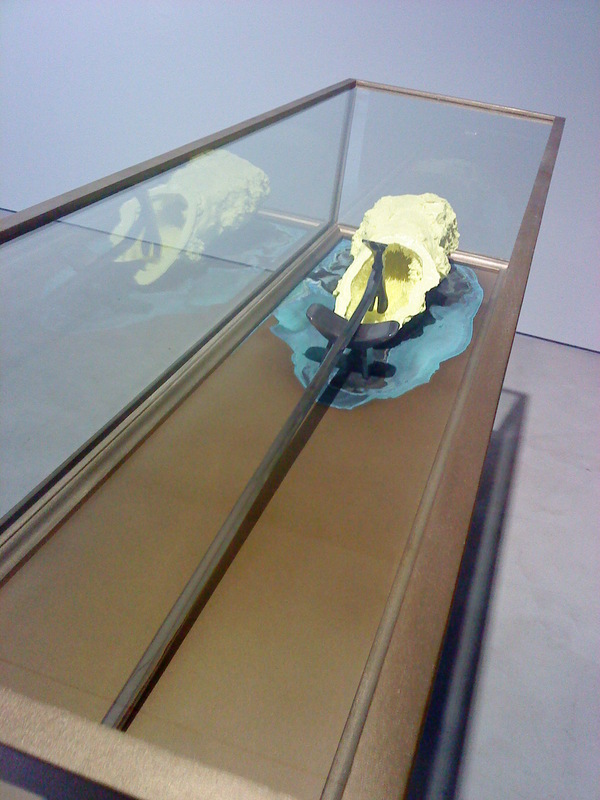 This use of materials made Beuys a unique artist, it gave him power that other artists using traditional materials (oil paint, stone etc) or randomly found materials could not match. Here Barney seems to be trying to develop the same level of mania as Beuys for his materials but it’s not compelling, and it does not feel genuine. The drawings feel mannered and derivative. The use of the vitrine feels false. The evidence of some sort of chemical processes (oxidation and crystallisation) likewise. The show is very well presented – it brings out the best aspect of the work and the works themselves must be achingly expensive to produce – some pieces are cast in silver, zinc and brass. But it feels literally and metaphorically too polished. The metaphor of alchemy is apt – showy, promising much but ultimately without basis and doomed to barren failure. Beuys’ art came from a very deep visceral place. Some of it made absolutely no sense even when, perhaps especially when, he explained it…but you could feel the connection of the earthly, the human and the transcendent. This is clearly what Barney is aiming at – because there is a large chunk of the blurb devoted to Norman Mailer’s Ancient Evenings – an overwritten factional tome about ancient Egypt. This conscious evocation is not enough. We need to sacrifice a goat, a virgin…anything at all. Without it there will be no divine answer for this unworthy prayer. 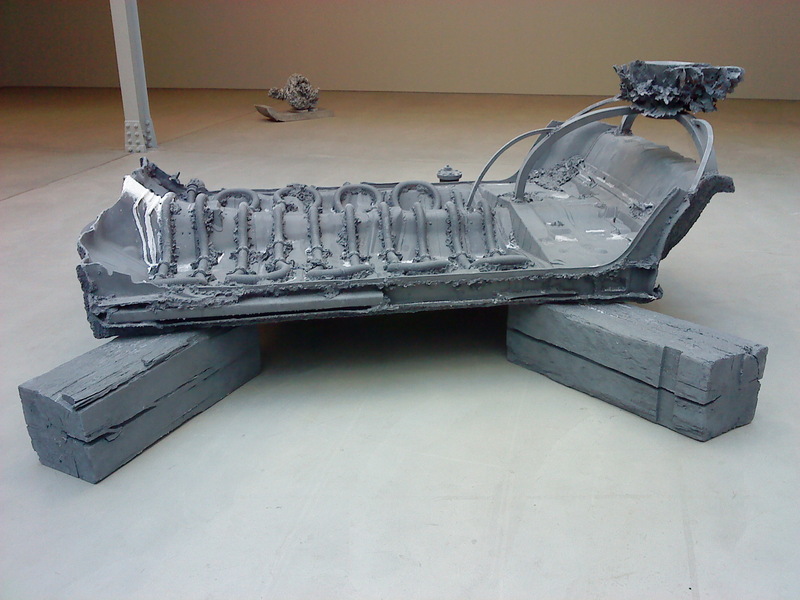 This entry was posted in American, Art, Galleries, Sculpture, Uncategorized and tagged American, Art, contemporary art, Galleries, London, Matthew Barney, sadie coles, Sculpture, West End.